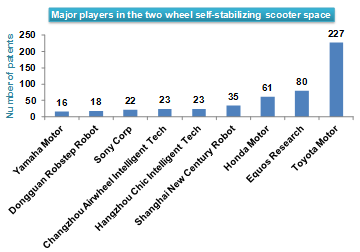 Next-generation solo transportation phenomena that took the world’s two-wheeled market segment by a storm in the year 2014, was the gyro-stabilized self-balancing scooter. The trend still continues with a list of celebrities who have taken it to the social network themselves riding on this hoverboard-like scooter. This gyro-stabilized scooter, popularly termed as a hoverboard, is a two-wheeled self-balancing battery-powered vehicle. It typically consists of two wheels arranged side-by-side, joined by two small platforms on which the rider stands. The device is controlled by the rider’s feet standing on the built-in gyroscopic, sensored pads. Tracing its origin in the patents world, the strongest claim of this invention comes from Shane Chen, a Chinese businessman, who started a Kickstarter for Hovertrax in 2013. 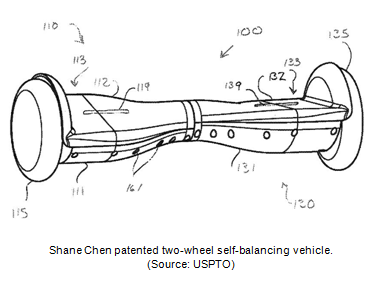 His US patent 8738278, titled “Two-wheel, self-balancing vehicle with independently movable foot placement sections” was granted on May 27, 2014. Besides, he has also invented various variants of this model and has many patents granted to him, like the US patents 8584782 and 8684123. This invention was also pursued by another Chinese technology firm Chic Robotics that brought its “Smart S1” in August 2014. From there on, it has glided swiftly ahead in the world of solo-commuters with an improved ergonomics and balancing mechanism. The factor that gives it an edge over other modes of solo-transportation is its versatility. With a top speed of 10kmph, the vehicle is eco-friendly, portable and can access the areas where other (larger) vehicles can’t. Though started as a recreational vehicle, it has proved its utility as an alternative mode of transportation with zero emission. Nevertheless, the buzz has still not faded by these tragic incidents and this two-wheeled scooter remains the toast of the fun-loving commuters. Many technology-giants, taking positives from this inclination, have invested heavily to improve their prototype with features such as adaptive technologies and artificial intelligence to curb all the anomalies that exist in the current design. 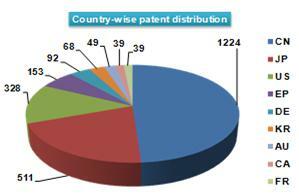 Big players like the Toyota Motor Corp and Equos Research Co Ltd rule in the overall market segment and are closely followed by many medium level entities, for instance the Hangzhou Chic Intelligent Tech Co Ltd. that caters specifically to this market. 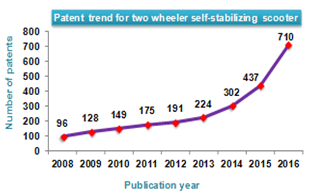 The patent offices, mainly the US, Japan and China, bear testimony to this fact where in a short span of two years the number of patents granted in the field of self-balancing scooter has witnessed a humungous upsurge. 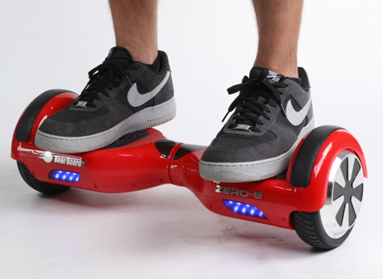 In the coming years, this “hoverboard” is sure to re-write the era of solo-commuting.